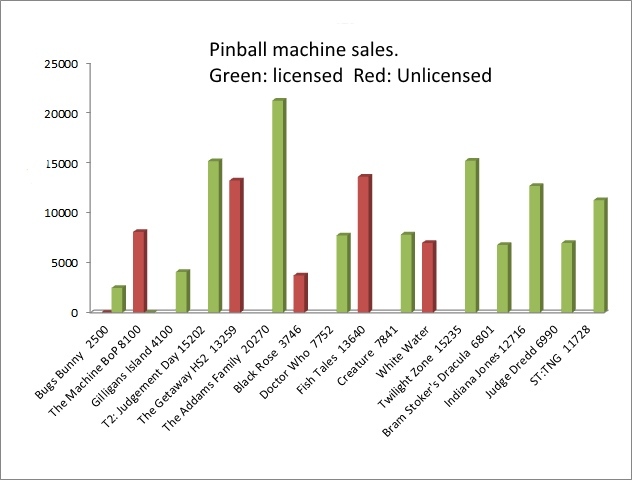 The pinball landscape is dominated by new machines with licences. There’s the recent Sterns: AC/DC, Metallica, Star Trek, Mustang. All licenced. And Jersey Jack Pinball: Wizard of Oz. Licensed. The story’s the same for games on the horizon. JJP’s The Hobbit: Licenced. Dutch Pinball’s The Big Lebowski. Licenced. Homepin’s Thunderbirds. All licenced. The only volume manufacturer with an original themed game that’s about to launch is Heighway Pinball with its Full Throttle motorbike game. But it turns out that Full Throttle is an exception: Heighway Pinball boss Andrew Heighway says it has five titles planned including Full Throttle, and only two of those will be original themes. The other three will be – you guessed it – licenced. So here’s an interesting questions: What does a licence actually deliver? 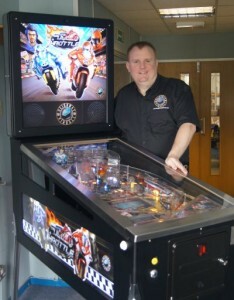 “I believe that although original, unlicenced themes have a place in pinball’s future – and certainly our future – licenced games will always be the driving force for sales, as operators, collectors and the playing public can identify with licenced themes more easily,” says Andrew Heighway, the boss of Heighway Pinball. Roger Sharpe, the ex-Williams licencing guru responsible for licencing many famous titles including The Addams Family, agrees that that’s what drives manufactures to buy licences.But he is not convinced that licencing is always the right way to go. Before handing over the cash, manufacturers like Stern are certainly aware that a licence doesn’t guarantee that a game will be popular, or that lack of a licence means that it won’t. If you take a look at the Pinside Pinball Top 100 games list on any given week, about half (or maybe just under half) of the top 10 or top 20 games are unlicenced and the other half are. Now Pinside offers a measure of popularity with pinheads, but what about popularity with operators and other people responsible for putting pinball machines on location in pubs, barcades and other public places to attract the casual, impulse player? To get a rough idea of what effect a licence has on a title’s popularity out on location, let’s take a look at some information from the early 1990s, when plenty of machines were being made, and almost all of them went out on location rather than into people’s homes. Specifically, let’s take a look at Bally Williams games made in the period 1991-1993, and see how many of them were sold, where those figures are available. What’s immediately obvious is that there were some extremely popular titles like T2, The Addams Family and Twilight Zone that were licenced, and some like The Getaway and Fish Tales that were not. There were also some dogs like Bugs Bunny and Gilligan’s Island that were licenced, and some like Black Rose that were not. But what we really want to know is how much did the licence, rather than the game itself, effect sales? To get a better idea of that, let’s do a bit of a deeper dive into the numbers. It turns out that during this period, 157,888 of these machines were sold. There were 16 separate titles, so on average, each title sold 9,868 units. So how did having a licence, or not having one, effect these sales? 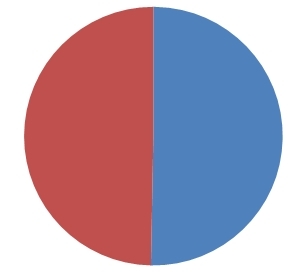 What this shows is that on average, licenced machines (red) got a slightly larger share of the sales pie than unlicenced machines (blue). Now let’s get a bit less scientific for a moment. Remember in the Olympics, how they take divers’ scores from the judges, and discount the highest and lowest to help eliminate ones that are way off kilter? Well in the same vein, The Addams Family is a real outlier, the best-selling game ever and one whose huge sales distorts the numbers considerably. So what happens if we eliminate The Addams Family from our analysis? For a start, the average sales per table drops from 9,868 to 9,108. We’d expect that, because the monster sales of The Addams Family have been excluded. But something else rather strange happens. The average sales of unlicenced machines is actually higher than the overall average, at 9,151. And the average sales of licenced machines is lower than the overall average, at 9,042. Let’s look at that again. Licencing actually seems to harm sales. Licenced titles sell less than unlicenced ones. That’s weird. Graphically, the story now looks like this. What this shows is that licenced sales’ share of the pie (red) is just a fraction less than unlicenced sales (blue), on average. There’s no doubt that the choice of time periods and titles to include and exclude are totally arbitrary, so this is hardly an authoritative study of the effects of licensing on sales in the early 1990s, let alone now. And Gary Stern, Jersey Jack and Andrew Heighway are no fools: they won’t spend money on licences for no benefit. But it does provide food for thought. If nothing else it does suggest that smaller pinball companies that don’t have cash to splash on expensive licences aren’t always at a significant disadvantage. 3 Comments on Does pinball licencing work? Good themes sell games. Good themes are often licenced! Good play sells games. Paying for a theme is crap. To say that it is just the theme or just the game play is overly simplistic. As consumers, we look for the entire package when we make luxury purchases. Form and function are equally important!